You are browsing the archive for citizen data. We are excited to announce a new research project around citizen-generated data and the UN data revolution. This research will be led by Open Knowledge International in partnership with King’s College London and the Public Data Lab to develop a vocabulary for governments to navigate the landscape of citizen-generated data. 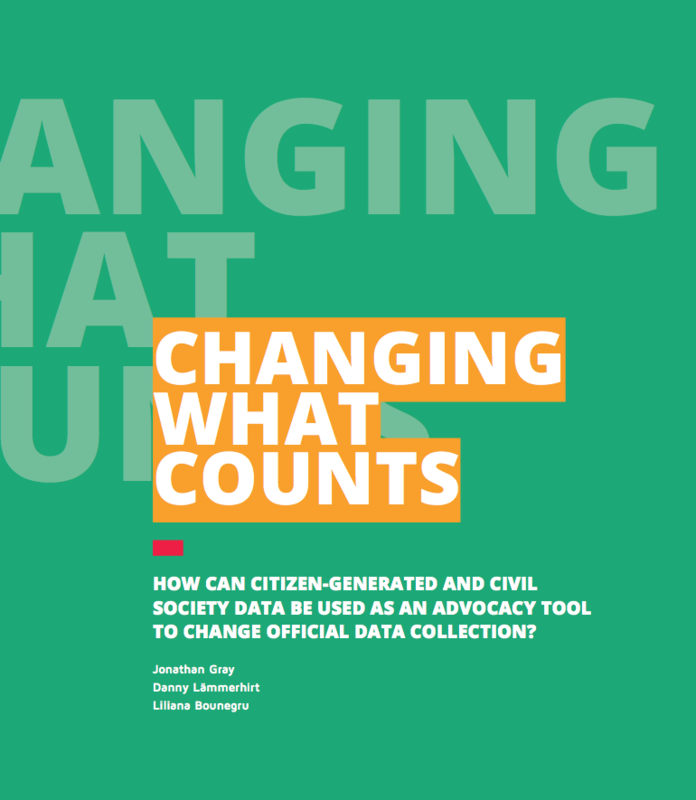 This research elaborates on past work which explored how to democratise the data revolution, how citizen and civil society data can be used to advocate for changes in official data collection, and how citizen-generated data can be organised to monitor and advance sustainability. It is funded by the United Nations Foundation and commissioned by the Task Team on Citizen Generated Data which is hosted by the Global Partnership for Sustainable Development Data (GPSDD). Our research seeks to develop a working vocabulary of different citizen-generated data methodologies. This vocabulary shall highlight clear distinction criteria between different methods, but also point out different ways of thinking about citizen-generated data. We hope that such a vocabulary can help governments and international organisations attend to the benefits and pitfalls of citizen-generated data in a more nuanced way and will help them engage with citizen-generated data more strategically. The past decades have seen the rise of many citizen-generated data projects. A plethora of concepts and initiatives use citizen-generated data for many goals, ranging from citizen science, citizen sensing and environmental monitoring to participatory mapping, community-based monitoring and community policing. In these initiatives citizens may play very different roles (from assigning the role of mere sensors, to enabling them to shape what data gets collected). Initiatives may differ in the media and technologies used to collect data, in the ways stakeholders are engaged with partners from government or business, or how activities are governed to align interests between these parties. Undertake fresh empirical research around a selection of citizen-generated data projects in order to explore these different perspectives. In the spirit of participatory and open research, we invite governments, civil society organisations and academia to share examples of citizen-generated data methodologies, the benefits of using citizen-generated data and issues we may want to look into as part of our research. If you’re interested in following or contributing to the project, you can find out more on our forum.